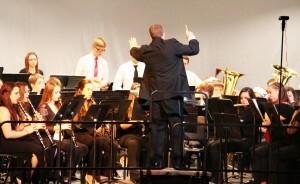 Students at John C. Birdlebough High School put on quite a show at a recent winter concert that featured both band and vocal ensembles. 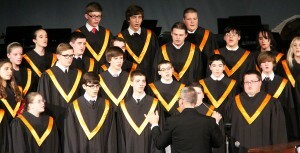 Members of the concert chorus at John C. Birdlebough High School perform before a packed crowd at a recent Winter Concert. 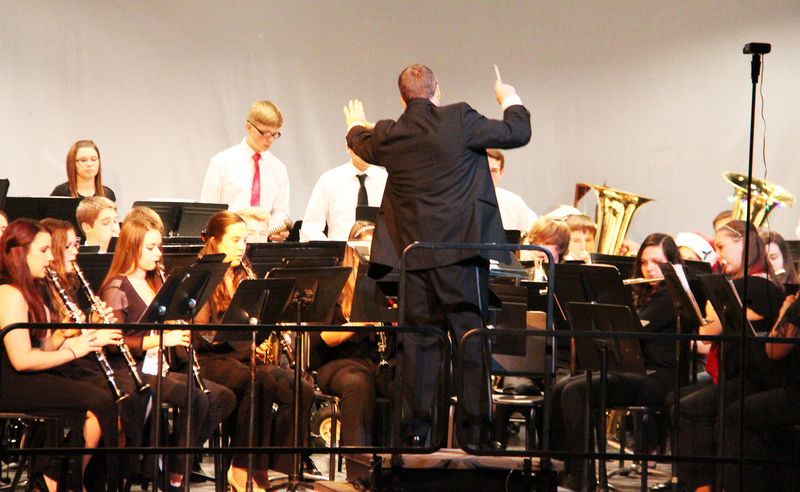 The joint concert, which was well attended by family members and friends of the performers, featured the school’s percussion ensemble, symphonic band, concert chorus and wind ensemble, as well as chamber sings and combined choirs. 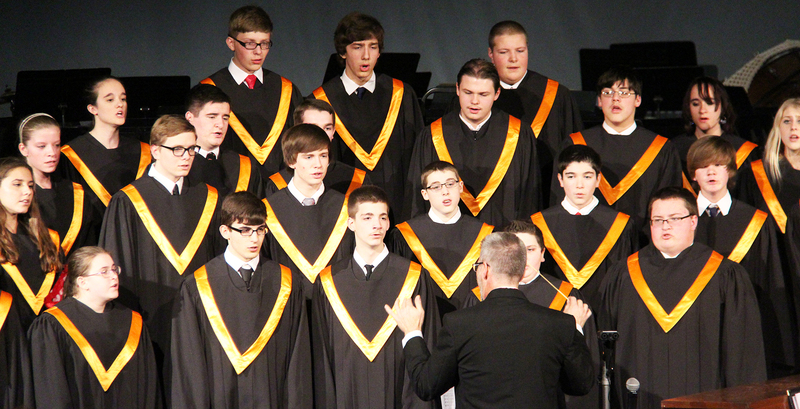 Each ensemble brought a different set of skills to the concert, showcasing the variety of music programs the school has to offer. Directed by David Frateschi, the ensemble received thunderous applause at the end of their session. The combined bands and choirs concluded the evening by performing “A Christmas Festival” and received a standing ovation from the packed crowd.